I spied this flier today while strolling along West Street this afternoon. 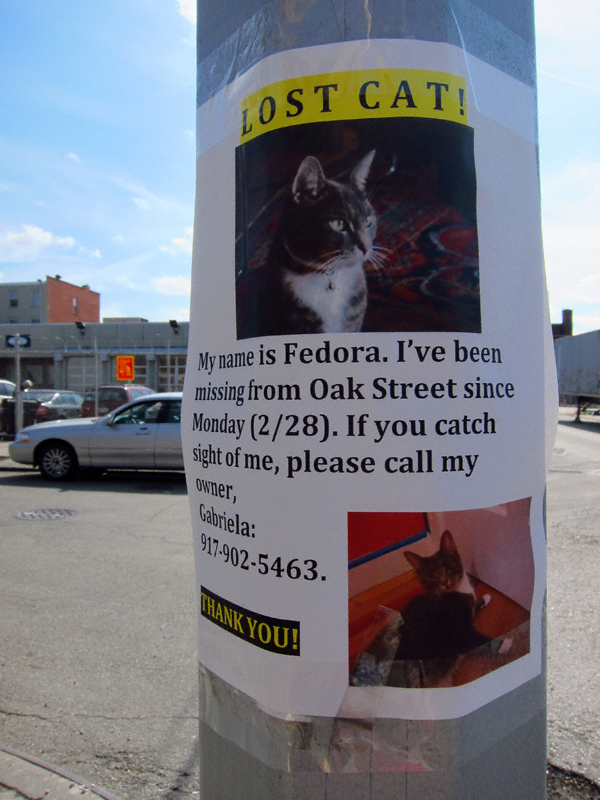 If anyone reading this has seen Fedora or knows of her whereabouts please contact her person, Gabriela, at the above-listed telephone number. Thanks!